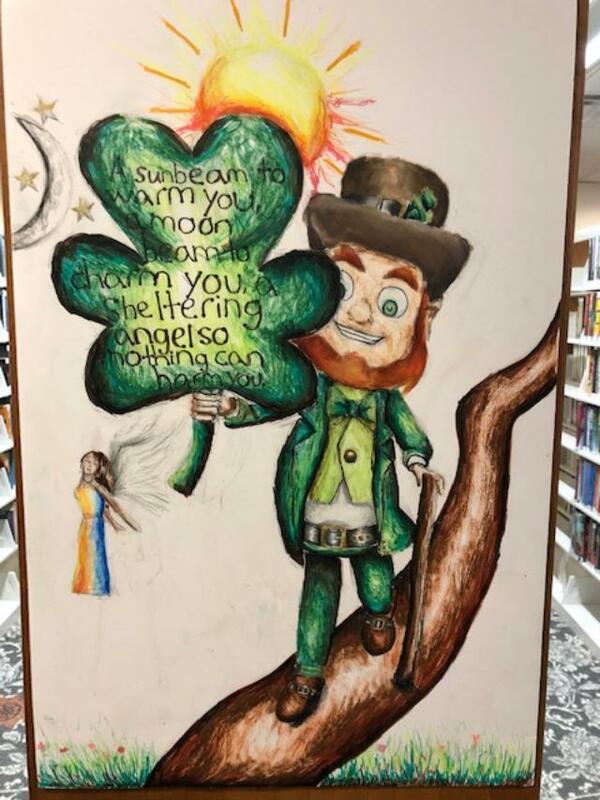 This years’ theme for the Irish Poster Contest will ask young artists to draw up their own version of the Irish Declaration of Independence or an Irish Blessing with symbols on poster board. Poster contest open to all residents of Fair Haven and Rumson grade school students attending: Forrestdale, Deane Porter, Knollwood, Sickles, Holy Cross, RCDS, or any other vocational, public or private school. DROP OFF YOUR IRISH POSTER AT THE RUMSON OCEANIC FREE LIBRARY WHERE THEY WILL BE DISPLAYED AND JUDGED. MAKE SURE YOU PUT YOUR NAME, AGE, CONTACT INFORMATION, AND SCHOOL ON THE BACK OF POSTER. and regulations are provided in more detail on our Facebook and parade website.